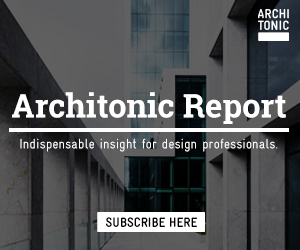 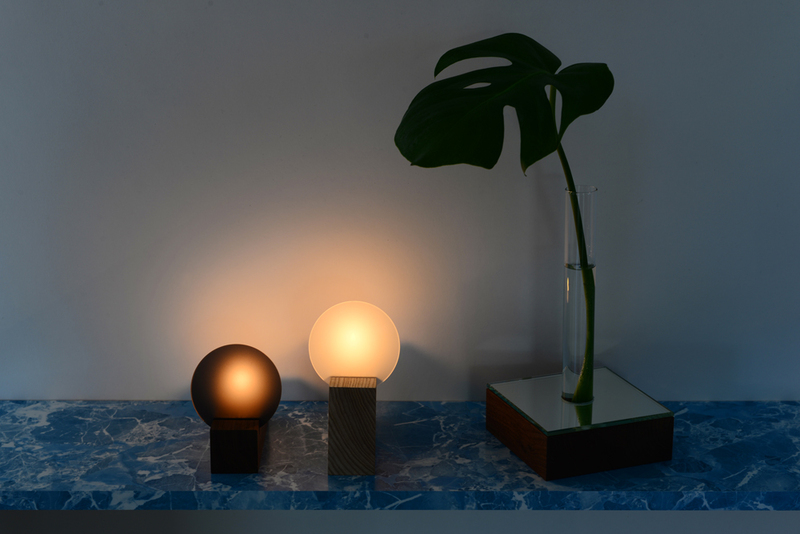 Published in the soon-to-be-release TLmag 24 (East Asia to Norther Europe), our Winter Forms selection looks at the immateriality of light; its ethereal value during cold northern winters. 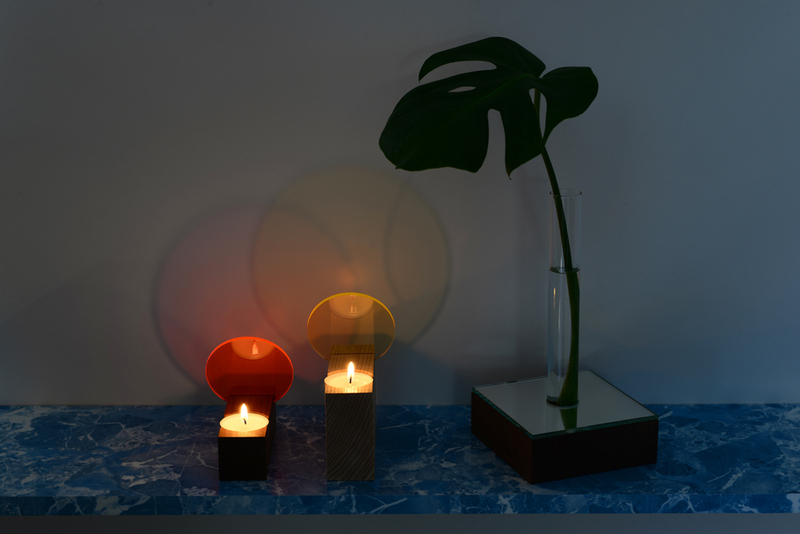 Continuing in the same vein, TLmag spotlights Eindhoven-based Studio Thier&vanDaalen‘s latest foray into opaque and translucent material: Colour Tealight, Interior Reflections. 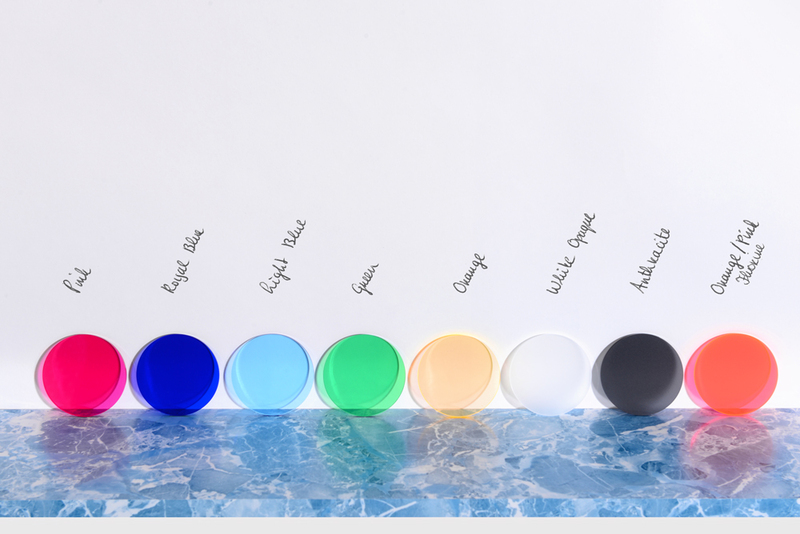 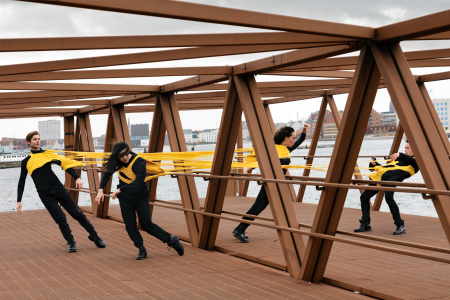 Having explored multiple iterations of glass production with such projects as their glass-blown bubble-encased Large Hanging Showcase Cabinet, Double, and Open mirrors or the recent Bubble Salon Table. 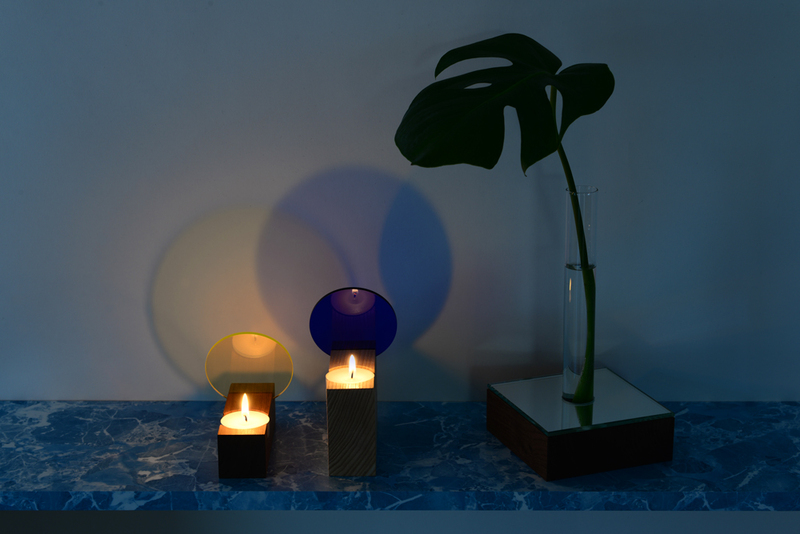 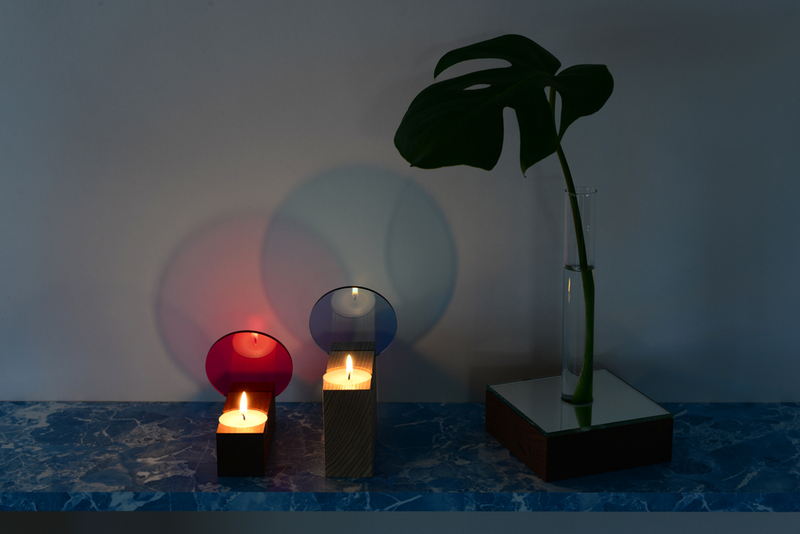 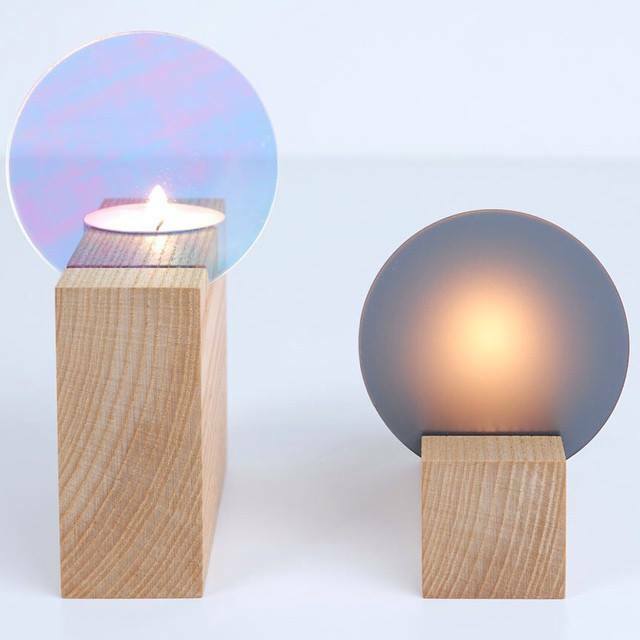 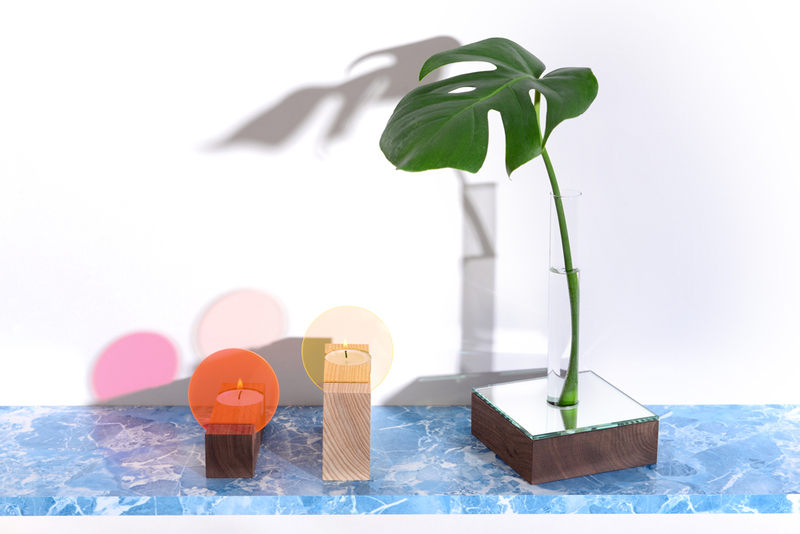 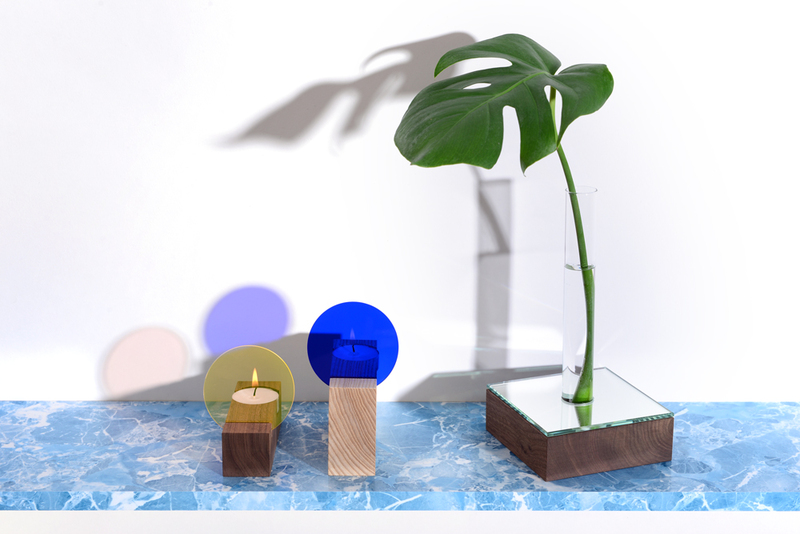 These Tealight, Interior Reflection comprise plexiglass filters, ash or walnut candle holders and light reflectors. 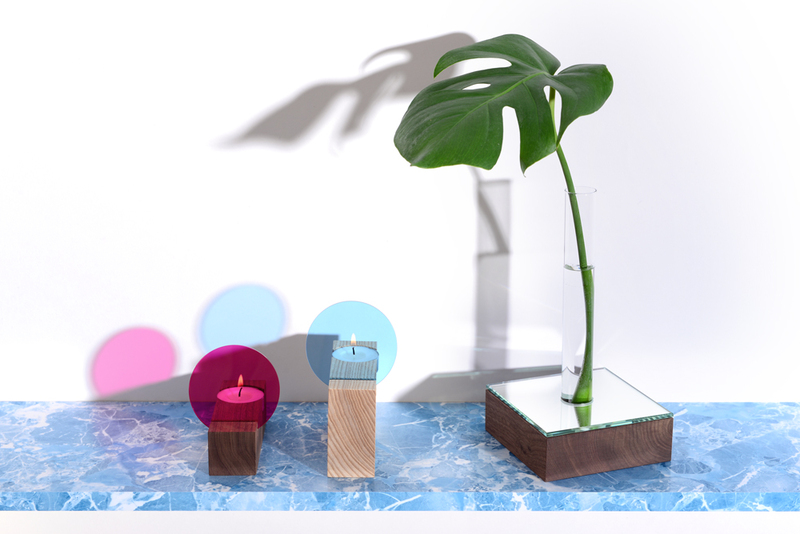 The tea light concepts comes from the lanterns of yesteryear that, before t.v., were used to animate stories. 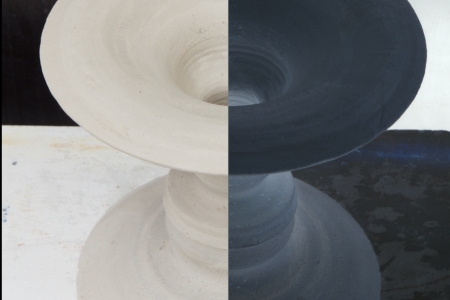 Already in a spectrum of seven possible coloured filters, the series will grown into other geometric and textured iterations.